In an earlier post, we looked at how directional board designs and the use of staining can help to give your deck a unique look. In this post, we go a little further and explore three more adventurous ways to make a deck unlike any other, by using curves, lighting and deckboard pathways. We hope these ideas will inspire anyone looking to take their first steps towards designing a deck, and equally provide some brain food to current deck owners looking for ways to spruce up or extend their existing deck. Sweeping curves add a sense of drama and style to a deck, and the effect is not difficult to create. To mark out a curve at the edge of your deck, you can simply attach a marker to a string or cord and pin the other end at an appropriate centre point so that you can draw a circle with the end of the marker. You can then swing an arc across the joists and cut them at that point to create a curve at the edge of your deck. The curved rims of your deck can then be added using treated plywood, and you can even add curved handrails for a touch of real finesse, using materials such as laminated siding. 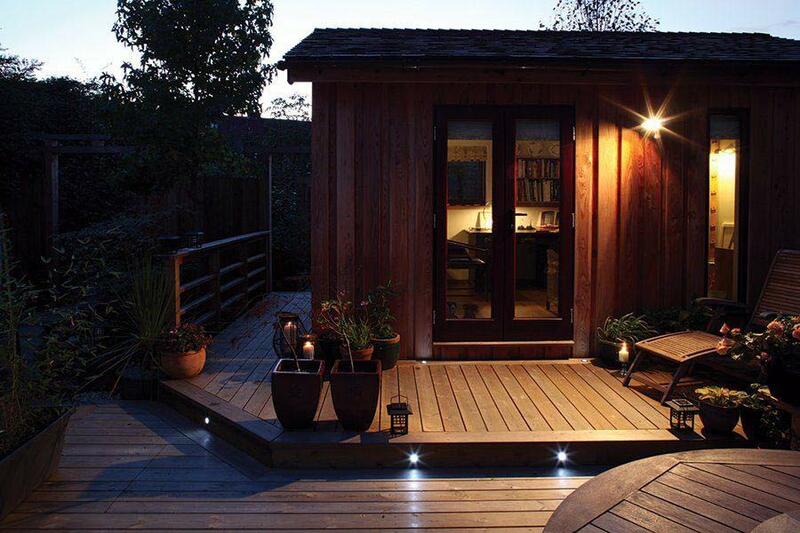 Lighting can be incorporated into your deck in a wide variety of ways, and the effect can be truly transformative. 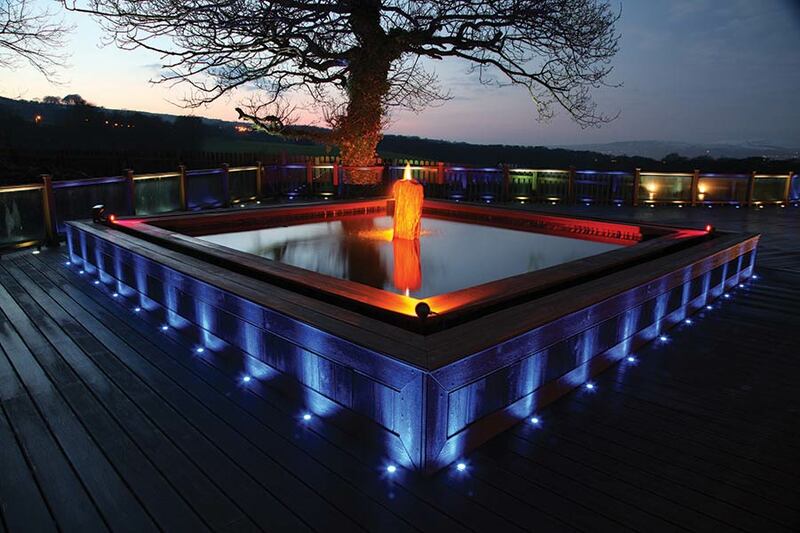 LED lighting is a popular choice for illuminating decking due to its extremely versatile nature and broad range of colour options. 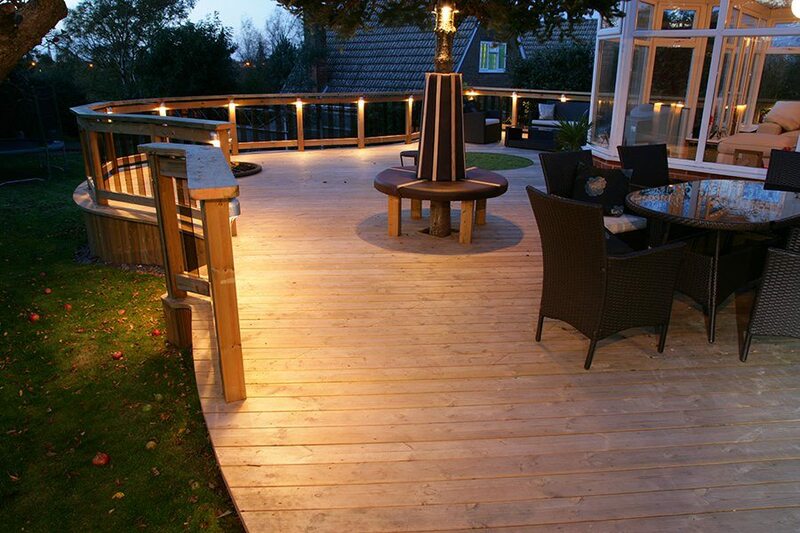 LED lighting underneath deck furniture or railings can be used to create a subtle, sophisticated lighting effect, and lights can also be placed in the line of your deck boards to give the appearance of little stars under your feet. Uplighting items on or near your deck, such as trees and shrubbery, can help to make your deck feel connected to your garden when it’s dark outside, and you can also buy decorative items for decking such as glass panels and water features that have lights incorporated into them. 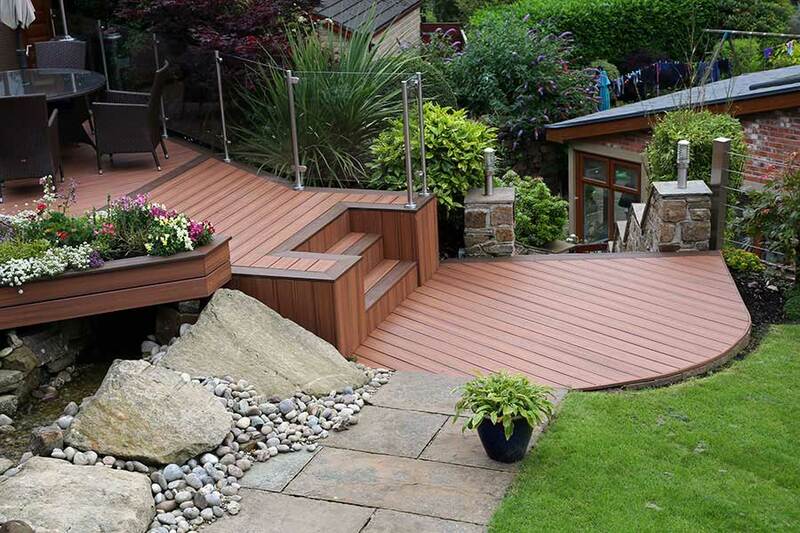 Deck boards aren’t just for creating open spaces in your garden; they can also be used to create attractive pathways that feature throughout your outdoor area. By laying deckboard pathways using the same materials as you choose for your deck, you can tie your garden together, and you might even use the same deckboards to create seating on your deck. 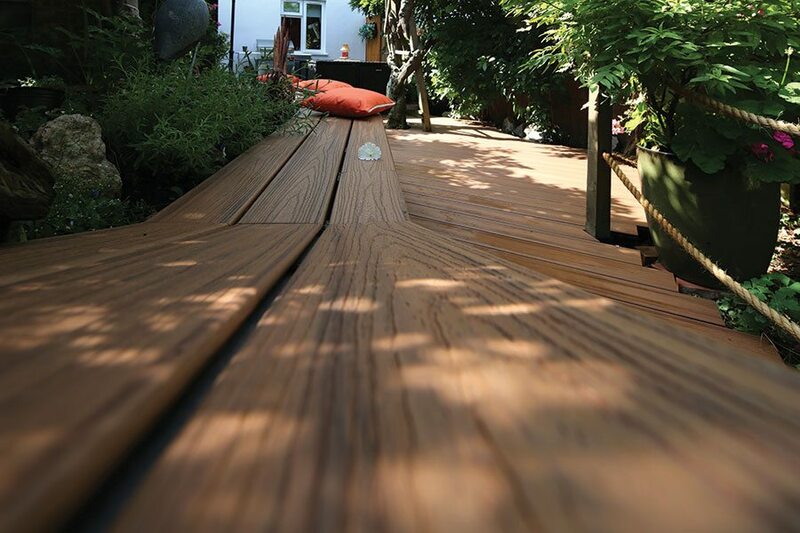 Whether your deck is made of wood or composite materials, you can use the same boards to form benches, pathways, planters and panels that will bring consistency to your design, and the use of one material throughout may save you time and money when it comes to maintaining the different areas of your garden.